No one in the media seems to have noticed that the PA university student councils elections have been canceled. The Occupation Regime has canceled elections scheduled for Palestinian Arab universities! Why haven't the international news media reported this outrage? Where are the usual protests of the United Nations and the State Department? What is the reason for their silence? Because the occupier is not Israel. It's the Palestinian Authority. PA chairman Mahmoud Abbas recently canceled the scheduled elections for the student councils after the first such election, at Bir Zeit Uniersity, resulted in the Islamist Bloc winning 26 out of the 51 seats, while Abbas's Fatah movement won only 19. The online Hamas newspaper Alresalah charged that Abbas canceled the remaining elections out of fear the Islamists would defeat Fatah on other campuses, as well. Elections are a bit of a sore point for Abbas's regime. He was first elected as chairman of the PA on January 15, 2005, for what was supposed to be a single four-year term. That term ended in January 2009, yet, more than six years later, Abbas is still in power and no further elections have been held. The PA elections issue is rarely discussed in the U.S. media, however, because it contradicts the pro-Palestinian narrative favored by so many American journalists. Not long ago, both Peter Beinart of CNN and Dana Milbank of the Washington Post again trotted out the old allegation that Israel "occupies millions of Palestinians." They pretend that Yitzhak Rabin never withdrew from the cities where 95% of the Palestinians in Judea-Samaria reside, in 1995. They pretend that Ariel Sharon never withdrew from 100% of Gaza, in 2005. They pretend that Israel is still the "occupier," because that it enables them to slap the Jewish State again and again. Admitting that the Palestinian Authority, not Israel, is the real and oppressive occupation regime, would force them to criticize the Palestinians. Even worse -- it would force them to acknowledge that their dream of a Palestinian state is likely to result in the nightmare of a brutal dictatorship. Not only does the Palestinian Authority occupation regime refuse to have either student or national elections, but it regularly engages in massive human rights violations--according to even the pro-Palestinian group Amnesty International. -- Arresting Critics of the Regime: "Security authorities in both the West Bank and Gaza arbitrarily arrested and detained their critics and supporters of rival political organizations." -- Torturing Political Prisoners: "Detainees were tortured and otherwise ill-treated with impunity…Methods of torture included beatings and forcing detainees to stand or sit in stress positions (shabah) for long periods." -- No Fair Trials: "Authorities in the West Bank held detainees for indefinite periods without charge or trial. In Gaza, the Hamas authorities continued to subject civilians to unfair trials before military courts." -- Suppressing Free Speech: "Authorities restricted freedoms of expression, association and assembly in the West Bank and Gaza….On many occasions, journalists reporting on protests complained that security forces assaulted them or damaged their equipment. Security officials also harassed and sought to intimidate journalists and social media activists…"
-- Violence Against Women: "Women and girls continued to face discrimination in both law and practice, and remained inadequately protected against gender-based violence committed by male relatives, ostensibly for reasons of family 'honor.' At least 11 women and girls were murdered by male relatives in so-called 'honor killings' during the year…"
If that is how Mahmoud Abbas and his Palestinian Authority regime behave today toward political dissidents, journalists, and women, at a time when the PA does not yet have full sovereignty, just imagine what a completely sovereign "Palestine" would be like. How could that possibly be good for world peace, regional stability, Israel's safety, or the ideal of democracy? 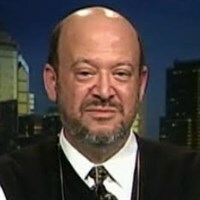 Mr. Korn, former executive editor of the Philadelphia Jewish Exponent and the Miami Jewish Tribune, is chairman of the Philadelphia Religious Zionists.